Ivy House is in Eppendorf's Klosterallee, an avenue lined with chestnut trees. The brick mansion was completely restored in 2008 and is one of Hamburg's top locations for exclusive short-term lets. Sophisticated interiors with light wood flooring, a lot of white and warm sandy shades evoke the style of a summer house on Long Island. The verdant garden with its colourful summer blooms creates a very special atmosphere. It also features the Sports House with a sauna, which means that you are only ever a few steps away from a work-out or relaxation. 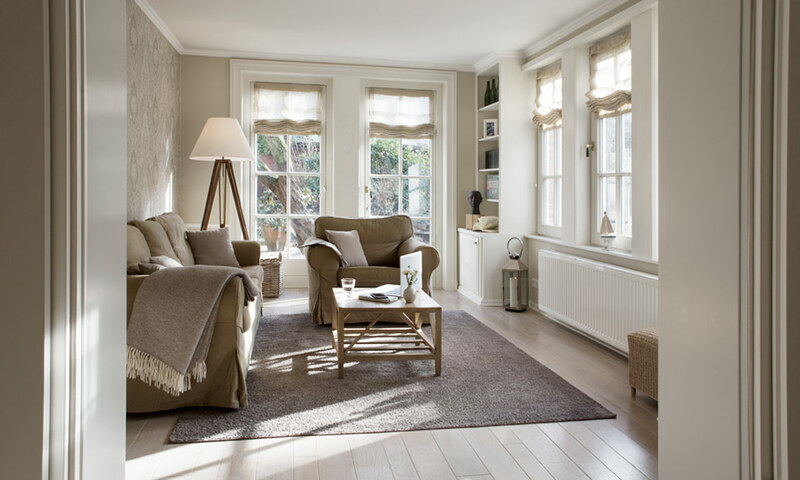 Light sandy shades combined with warm colours radiate a homely feeling. 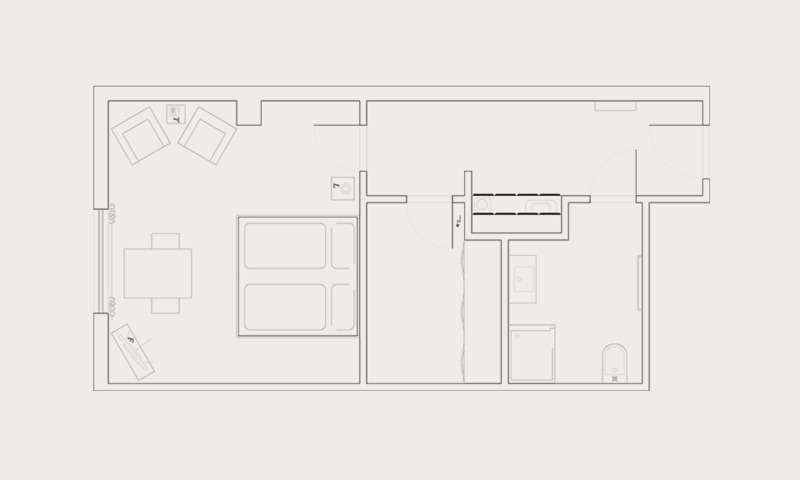 Our single apartments feature a cosy studio design with floor space starting from 20 m2. 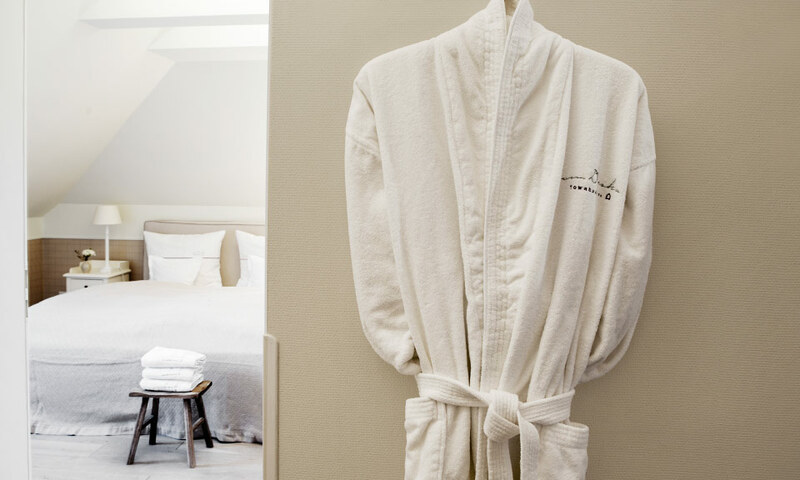 All shower rooms were renovated in the spring of 2014. The kitchenettes can be concealed behind light cupboard doors and comfortable leather armchairs are perfect for when you want to relax. These serviced apartments are ideal for one person. For a short break for two we can offer these small apartments with a wider bed (140 x 200 cm): Little One+ from € 115.
e.g. 1 month from € 2,100. Our quiet double apartments up to 35 m2 in size look out onto a lush and romantic garden. The elegant furnishings include comfortable armchairs, wardrobe (some designed as walk-in-closets), kitchenette and a dining table with two chairs. These serviced apartments are ideal for two persons. If you would like even better cooking facilities and more generous living accommodation, you can opt for the "Little Two+" apartment with a 4-zone ceramic hob, a dishwasher and a boxspring bed. Special rates apply to longer lets: e.g. 1 month from € 2,850. Our individually furnished apartments starting at 40 to 50 m2 really provide you with a beautiful home from home. The apartments have a separate, comfortable bedroom, inviting bathrooms and a well-equipped luxury kitchen. These serviced apartments are ideal for two persons or a family holiday. On request we can make up a sofa bed for two children or two additional adult guests. Special rates apply to longer lets: e.g. 1 month from € 3,900. 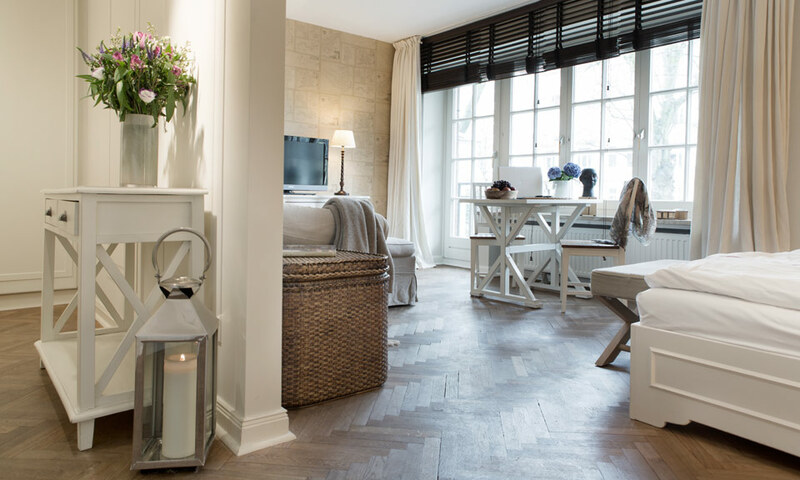 The well-equipped, individual apartments with their cottage-style furnishings offer plenty of space - up to 80 m2. Two separate bedrooms (partly with bank beds or passage room) and a spacious living area also provide enough playroom if you have children with you. 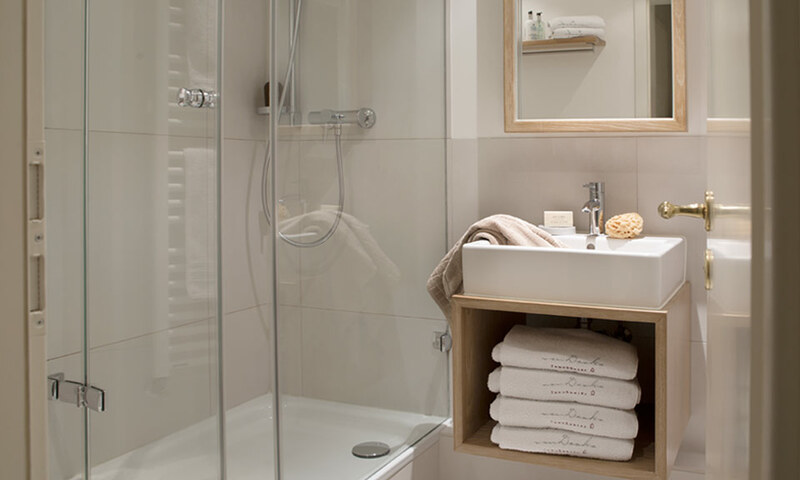 A bathroom with bath tub and a luxury kitchen round off the range of facilities. These serviced apartments are ideal for two adults and two children. On request we can make up a sofa bed for another two children in some apartments. Please contact us. Special rates apply to longer lets: e.g. 1 month from € 5,200. The red-brick house is located in the elegant Eppendorf district of Hamburg, alongside mansions in the traditional Hanseatic style. Close by is Innocentia Park and the Alster river with its sailing and rowing facilities is within easy walking distance. The weekly Ise market is famous for the wealth of goods on offer and is well worth a visit. Select boutiques, galleries and restaurants are key features of life in this part of town. You could not wish for a better place to start your exploration of the city of Hamburg. The white villa on Rothenbaumchaussee was lovingly restored in 2009. The stylish serviced apartments are ideal for people travelling on business and for couples, since the former mansion is centrally located. Families can also enjoy the generous space available in this elegant period property. With their richly ornamented stucco ceilings, exclusive wooden flooring and sophisticated decor, these apartments enjoy unique surroundings.